Reverting to a maiden name is common for many women after divorce. But requesting to change your name and actually getting it done can bring up a lot of questions about the process. Can I make the name change part of the divorce decree? How soon in the divorce process can I change my name? Who do I need to talk to when I'm reverting to maiden name? Find answers from the legal expert to these and other questions below. Why do you need a provision for reverting to your maiden name? Can I use my maiden name before my divorce is finalized? Will I get in trouble if I changed my name before the divorce? Can the divorce state that I will change back to my maiden name? Can I request a last name other than my maiden or married names? The judge approved the Maiden Surname but it's not in the decree. How do I change my name if there wasn't a provision for reverting to maiden name in the divorce? I can't get a license because my decree doesn't have a name change provision. Which court do I go to get my maiden name back? Is there a cheap way to take back my maiden name after divorce? Do I need to change my name with the Social Security Office? What paperwork does Social Security need to change my name? Can I use both my married and maiden name after the divorce? Am I obligated to take back my maiden name? Can I still use the old order to change my name if I'm remarried? Why are support checks made out in my maiden name? Dawn's Question: Why is a provision required in order for a woman to revert to her maiden name after the divorce? It is almost as if the husband's permission is required. Brette's Answer: In most states, a provision is added allowing either party to revert to their pre-marital name because men sometimes change their names also. The provision is necessary because you cannot legally change your name without a court order. 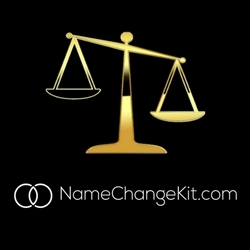 If you don't do it through your divorce, then you need to do a separate name change proceeding. Anyone can change their name, but they always need court permission to do so. Karen's Question: Can a legally married woman, who is separated from her husband, start using her maiden name even though they are not divorced? Brette's Answer: You can, but if you want to legally get it changed on things such as your driver's license you would need to legally change your name, which involves a court procedure or a divorce decree. Good luck. When can you take back your maiden name? Stephanie's Question: Does the divorce need to be final before you can go back to your maiden name, and will it be wise to do so as he is still paying some of the bills? Brette's Answer: You can use your maiden name at any time you want. To change it on legal documents such as a driver's license, Social Security card, or passports though you need a court order, which usually happens in your divorce decree. What name you use has no impact on bills or settlement. Question: My driver's license was in my married name, yet my social security card has always been in my maiden name. I had to go back to work and wanted both forms of ID to match, so I changed my driver's license name back to my maiden name seeing how I was going to get divorced and keep my maiden name. Now I am worried that I may go to jail for doing so. Brette's Answer: No. You would have been given the right to change your name as part of the divorce anyhow. Can the divorce state that I will return to my maiden name? Karen's Question: I just received divorce papers 5 days ago. It is uncontested and I don't have the finances for an attorney. Without an attorney, how would I have the final decree state that I wish to have my name changed back to my maiden name? Brette's Answer: It is routine for a judge to include a provision in the decree that either party can return to a pre-marital name. However, to make sure, you will need to respond or appear and just make sure that is the case. You need to find out what your state's requirements are for appearing - you may need to just file a form or you may need to show up in court. Can I request a name other than my maiden or married names? Janet's Question: When my divorce decree is final I no longer wish to use my married name. However, due to an abusive father, I do not wish to use my maiden name either. Can I request a specific last name other than my maiden or married names? Brette's Answer: You should ask your attorney. Normally a divorce decree gives a person the right to revert to a previous name. Marci's Question: I filled out the paperwork and asked for my maiden name back in my divorce. The judge asked me if I was going to take my maiden name back and I said yes and signed it. I got my "certification of report of dissolution of marriage" and it has NO listing of "Maiden Surname". I'm trying to find out HOW I can show that my name was changed. Brette's Answer: Call the court clerk and explain what happened. It sounds like it was an oversight when your divorce was finalized. It should be corrected. How do I change my name if the provision wasn't in the decree? Juanita's Question: My Ex and I did a do-it-yourself uncontested divorce. I wanted to have my former name restored, which is the same as my children, but messed up and neglected to put it in the divorce petition. How do I get the divorce decree modified, to state I have my former name restored? Do I have to go back into court to do this legally? I need a court order to change my driver's license, SS Card etc. Brette Answers: It really depends on the procedures in your state. Go to the court clerk's office to find out what you need to file. Most likely a modification petition or a notice of motion for a name change. In some states, both will require a motion and an appearance. Name change often requires publication in a newspaper and may take longer. Kelly's Question: I'm divorced so I started to change my name. No problem with the social security office. But when I took the same documents and my new social card to DMV they wouldn't do it because the divorce decree didn't have a name change provision. What do I do from here? Brette's Answer: Contact the court and ask that the decree be amended to include that. Stephanie's Question: Our divorce decree states that I will retain my maiden name. How much time do I have to change my name if I'm not ready to do it right away? Brette's Answer: Divorce decrees usually give a woman the right to resume the use of premarital name if she wishes to do so, but do not require it. Therefore, you can do it whenever you want. Sheila's Question: I want to change my last name back to my maiden name, but I don't have a copy of my finalized divorce. How can I get my name changed without it? Brette's Answer: You'll have to get a copy of the divorce decree. The simplest way to do this is to call the county courthouse where your divorce was granted. If you don't know, you may still be able to get your name changed by using the marriage certificate. Start with your driver's license. Once that is changed, you can use that as proof for everything else. Terry's Question: I was divorced over 40 years ago. The petition for divorce was handled in the Manchester, NH court. I have no idea if the lawyer who was handling our no-fault divorce included permission for me to change back to my maiden name. I have been using my maiden name for all these years. Now that I've reached social security age, I'm running into problems because my Medicare card has my married (still legal) name on it. Where do I go to officially change the SS name to my maiden name? Brette's Answer: You can obtain your divorce decree from the court that issued it. If it gave you permission to use your maiden name, that is the legal proof you need. If it does not, you will need to do a name change procedure in whatever local court handles that kind of case, most likely your lower level state court. Ruth's Question: I would like to go back to my maiden name and I was wondering if there any way to get the fees waived? In total, with the newspaper notification, it will be close to $300. The initial fee for the petition is 164.50. I am unable to work full time and that's a lot to come up with. I just wish there was a cheaper way to get this done. Brette: In most states, you do not need to go through a name change procedure after a divorce if your decree gives you the right to revert to your maiden name. You can just begin using it. You can show the decree to the DMV, etc. as proof. Anna's Question: I am getting divorced and have requested a return to my maiden name in the divorce papers. Do I need to still change it with the Social Security Office? Brette's Answer: Yes you need to change it everywhere - SS, driver's license, banks, credit cards, property tax, everything. D's Question: I went to Social Security to change my name on my SSN card. I had the paperwork with the judge's signature, date the decree became absolute, and a stamp saying it was on file, but the clerk asked where the raised stamp was on the papers. Where do I go from here? Brette Answers: You may need to obtain a decree with a raised seal from the court clerk's office. Question: Once a divorce decree is printed and legal showing I changed my married name back to my maiden name, can I still use both names legally or just one? Brette: It depends on what it says. If it says your name is changed, then technically your maiden name is the one you use. If it gives you the option or the right to change your name, you can use either. Annette's Question: It was granted in my divorce decree that my legal name be switched back to my maiden name. Now I am back with my ex-husband, so I am still using my married name. Did the decree gave me the option to change my name or did it automatically change it to my maiden name? Brette's Answer: This kind of clause usually gives you the option to switch back, but I can't tell you what your order says. It's up to you to change your name on all documents after divorce if you wish to do so. If you don't wish to, you don't have to in most cases. Can a woman be required to change her name after divorce? Cheryl's Question: My fiancé's ex-wife didn't take back her maiden name after the divorce. Can we get a court order requiring her to go back to her maiden name? Brette's Answer: No. It is entirely up to his ex-wife what name she will use after the divorce. Even if their divorce decree included a stipulation stating she could go back to it, she wouldn't have to. Anna's Question: I have a court order from a prior marriage that states I have the right to return to my maiden name. Can I still use this order even though I married again? The clerk said the order is always good because an order had not been issued stating it couldn't be used or was canceled. Is she right? Brette's Answer: It seems to me that order gives you the right to stop using your name from your first marriage. If you married again, changed your name again to your second spouse's name, I think you need a separate order handling that, however you should check with your attorney to find out what the law is in your state. Taren's Question: It was granted in my divorce that I can go back to my maiden name, but I haven't changed it so far. I just got my first child support check and it had my maiden name on it. Was my name changed automatically once the divorce was granted? Brette's Answer: Most divorce decrees give a woman the right to change back to their maiden name. It's not required, but because most women choose to do so, the child support agency probably changed it automatically. You can notify them if you want the check made out in your married name instead.